Raian, based near Loveland CO, has been teaching and training companion animals and their guardians for nearly three decades. 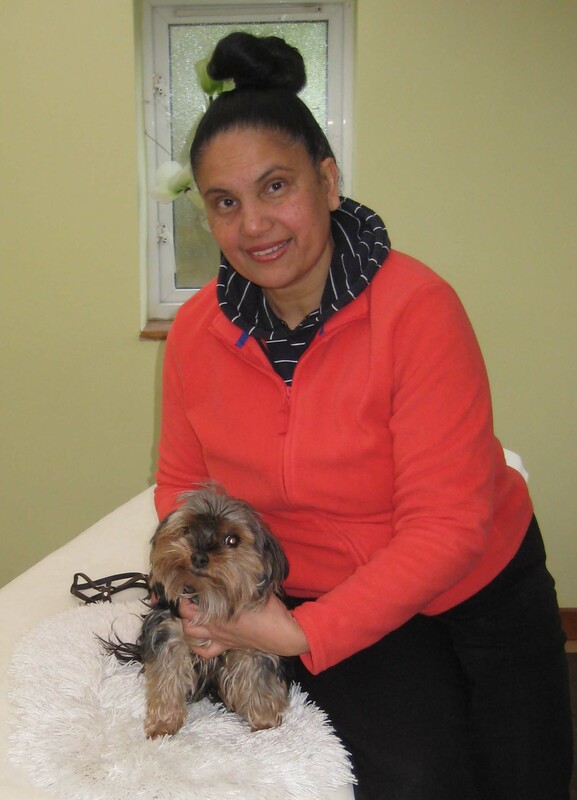 She uses bodywork to improve the dog’s balance, self-awareness, and self-control, as well as to increase the connection between dog and owner. 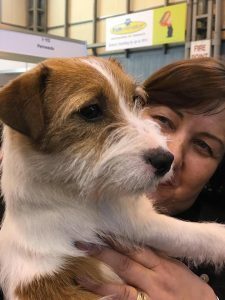 Apart from being an Equine and Canine Touch and VHT International Instructor, she is a TTACT and TTEAM Practitioner III, a certified veterinary assistant, and member of professional associations including the APDT (Association of Pet Dog Trainers). 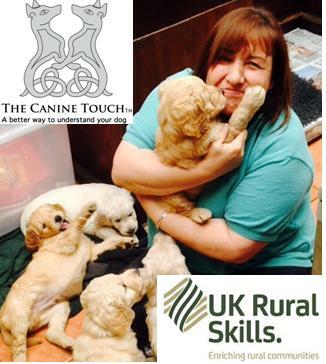 Raian is mentor and guide for students pursuing a Practitionership in the Canine Touch in USA and Canada. 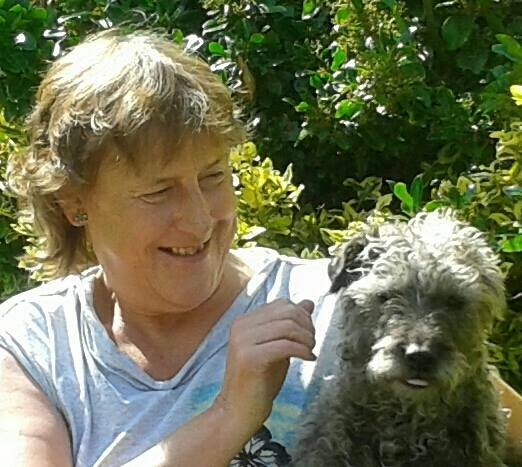 Lyn is based in Glastonbury and pictured here with one of her favourite clients! A leading light in the UK (and beyond), Lyn is one of our most dedicated Instructors and Practitioners. Jo is based in Wisbech, Cambridgeshire. Totally committed in everything she does Jo’s heart is very much focused on making the lives of others as happy and pain free as possible. Chris is based in the Northumberland area and is one of our multi-talented Instructors – teaching not only Canine Touch but also Equine Touch and VHT (Human) classes. Extremely hard working and has recently extended her area of coverage further north to include Scotland. Emma is based in the Norhants area. 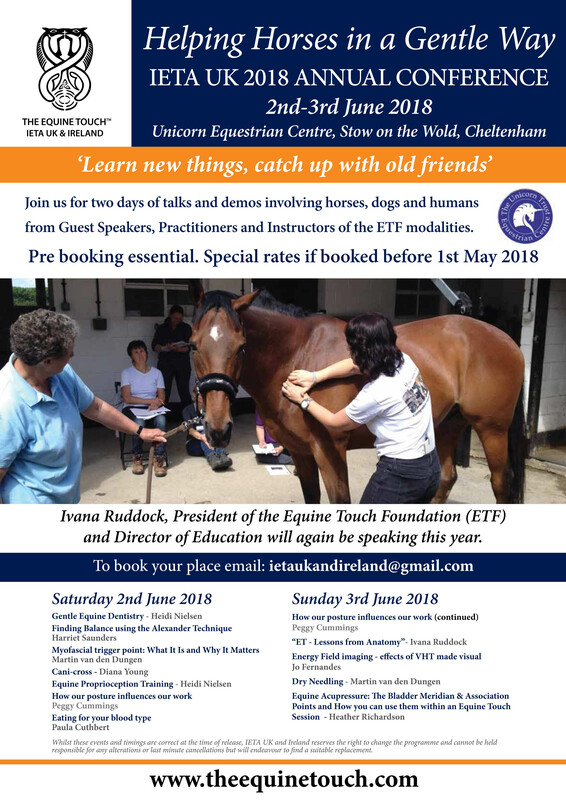 Instructor and practitioner of both Canine Touch and Equine Touch Emma works tirelessly to make a difference to animals wherever she goes. A “learnaholic” who likes to keep up to date with anything and everything which can affect and influence the well being of her clients and their animals. Based in the west of Scotland, Emma has been an holistic therapist for over 20 years. Initially working with people she branched out into working with dogs. For 15 year she had been utilising her skills in aromatherapy, reflexology and massage with dogs until she found Canine Touch. Emma offers courses around Scotland.